If there’s anything harder than getting in shape, it might just be picking which gym to go to. There are dozens and dozens of them! And they’re all different! They’ve got different layouts, different equipment, different perks, and different pricing models. Thankfully, our physical location can make it a little bit easier to pick a gym, so chances are if you’re here, you’re trying to decide between two or three gyms near your house or place of work. And I’m here to help. Not by going myself (I’m not made of money!) but by pouring through Internet reviews so you don’t have to. First up in our Gym Comparison Series: Planet Fitness vs LA Fitness. Planet Fitness is a low cost, “convenience gym,” based out of New Hampshire. 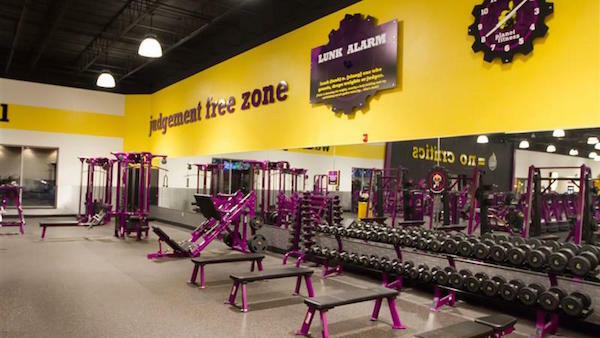 It was founded in 1992 and now has over 1,000 locations through the U.S.
It’s worth noting that Planet Fitness is a franchise, so each location may be a little different than the next one. It’s known for it’s bright purple and yellow color scheme and its late night hours. LA Fitness has been around since 1984, and with a bigger offering of amenities, likes to call itself a “health club” and not just a gym. There are over 800 LA Fitness locations throughout the U.S. and Canada, and the privately-owned company is best known for its clean and spacious workout spaces. Alright, let’s get down to it. Who wins on cost? LA Fitness: People on Reddit write that you’re sometimes able to haggle and negotiate with the folks at LA Fitness. But in any case their standard rate is a $100 initiation fee then $30-35 per month (to go to any LA Fitness) or $25.99 per month (for a single club membership). Planet Fitness: Planet Fitness offers several membership tiers. First is their standard one-club membership. They also have a one-club no-commitment membership (meaning you pay a little more for the privilege of being able to cancel any time). Then there’s their “black card” all-club membership. Like many gyms, individual Planet Fitness franchises can price their plans a little differently. Expect to pay around $10 a month for one-club access, $15 a month for one-club with no contract, and $20 per month for all-club access. Startup fees also vary greatly but can be between $1 and $39.00. Any way you slice it, Planet Fitness is certainly less expensive than LA Fitness. But is it a better value? LA Fitness: Hours at LA Fitness vary greatly by location, but my research shows that most LA Fitness gyms open at about 5am and close between 10 and 11pm. Planet Fitness: A large majority of Planet Fitness locations are open 24 hours, but check your local gym to be sure. That settles it. If you’re a serious night owl, you’ll definitely dig having the freedom to workout at Planet Fitness at 3am. LA Fitness: These guys have pretty much everything, including large decks of cardio machines, free weights, power racks, and more. 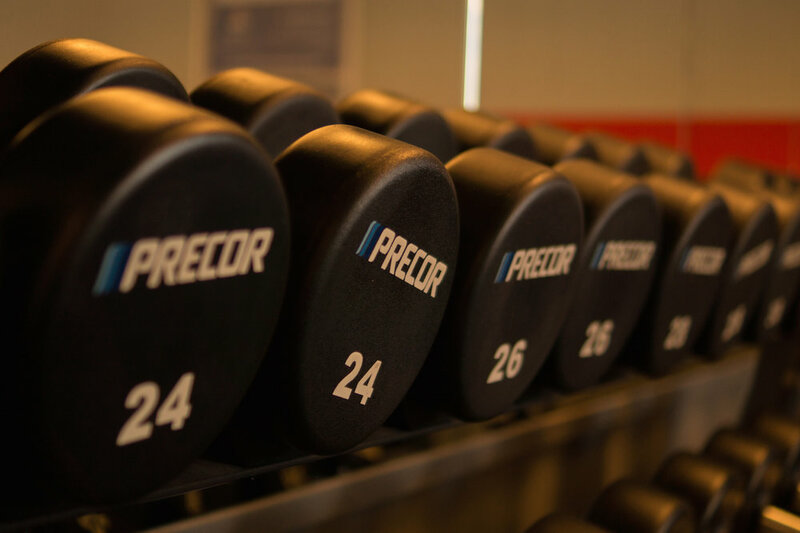 The website even boasts over 21,000 pounds of free weights per club. Planet Fitness: Notoriously has little to no free weights section, barbells, or power racks. Some will have a Smith machine, and they usually offer a dumbbell rack (though lots of people note the dumbbells at Planet Fitness often only go up to 50lbs or so). But Planet Fitness is well-known for being mostly dominated by cardio machines. This might be perfect for you! But if you’re into heavy iron, Planet Fitness probably won’t be a great fit. LA Fitness: Again, these guys have everything. Belly dancing, Cycle, Boot camp, dance, kickbox cardio, yoga and more. All free for members. Planet Fitness: Offers one group class, called PE@PF. According to a Planet Fitness Facebook post: “The PE@PF program, in which our trainer works with small groups of 5 people or fewer, demonstrates how to strengthen and tone the various muscle groups. These 30-minute classes cover individual areas, such as arms, shoulder, back, legs, chest and abs, and are great for people getting back into working out! 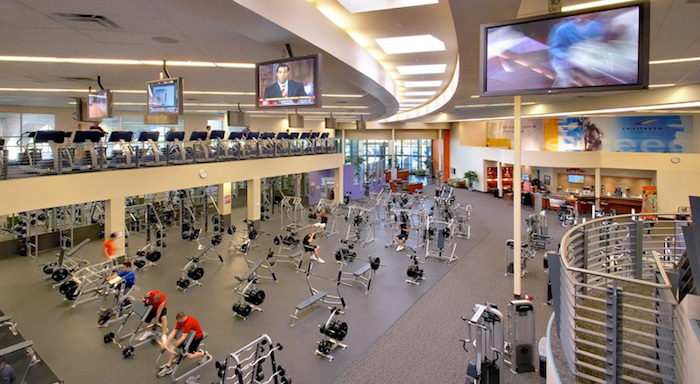 LA Fitness: Most locations have an indoor pool and spa or sauna area. Planet Fitness: Does not have pools, steam rooms, or saunas at any of its locations. LA Fitness and Planet Fitness both offer showers in the locker room area. Yay cleanliness! LA Fitness: Has a childcare option called Kids Klub for a small extra fee. Like most gym childcare centers, you can’t have your child there for more than 2 hours and you can’t leave the gym. Planet Fitness: Does not have childcare at any of its locations. If you ask me, Planet Fitness might be cheaper, but LA Fitness offers the overall better value. And there you have it! Go forth and get fit, my friends.